Samegrelo (Mingrelia) is an historic province in the western part of the republic of Georgia, formerly also known as Odishi. Samegrelo is bordered by the rebellious province of Abkhazia to the north-west, Svaneti to the north, Imereti to the east, Guria to the south and the Black Sea to the west. The Mingrelians are one of the local culture-groups of the ethnically subdivided Georgian people, who speak both Megrelian and Georgian, but have only a Georgian script. Administratively, the province of Samegrelo is incorporated with the northern part of the neighboring mountainous province of Svaneti into the Samegrelo-Zemo Svaneti region, the capital of which is Samegrelo's main city Zugdidi. In ancient times Samegrelo was a major part of the kingdom of Kolkha (Colchis) (9th - 6th centuries BC) and the kingdom of Egrisi 4th century BC - 6th century AD). In the 11th - 15th centuries Samegrelo was a part of the united Georgian Kingdom. 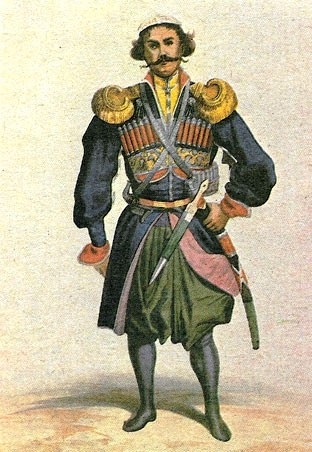 In the 16th century - 1857 the independent Principality of Samegrelo was under the rule of a Georgian dynasty Dadiani and the patronage of the Ottoman Empire. In December of 1803 the Principality came under the patronage of the Russian Empire by an agreement between the Tsar and the Megrelian Prince Grigol Dadiani. In 1857 the Principality was abolished officially by the Tsarist Russian Empire. From 1918 to 1921 Samegrelo was part of the Democratic Republic of Georgia (DRG). In 1921 Georgia became part of the Soviet Union, as the Georgian SSR. In April 9, 1991 independence was restored to Georgia, of which Samegrelo is now part. The first President of an independent Georgia, Dr. Zviad Gamsakhurdia (1939-1993), was a Megrelian. Therefore, after the violent Coup d'etat of December 21 1991 - January 6, 1992, Samegrelo became the centre of a civil war, which ended with the defeat of Gamsakhurdia's supporters. Even so, this region was unmanageable by the central government throughout the presidency of Eduard Shevardnadze (1992 - 2003). Stability in the region is further deteriorated by the fact that the Georgian refugees from the Abkhazian war zone (who are considered by Georgians as victims of ethnic cleansing) are mostly Megrelians. After the Rose Revolution of November, 2003, in 2004, newly elected Georgian President, Dr. Mikhail Saakashvili, who vowed to resolve the conflict whith the breakaway region of Abkhazia solely by peaceful means, had to disarm groups of Megrelians, who tried to fight a guerrilla war against the Abkhazians by incursions from Samegrelo.